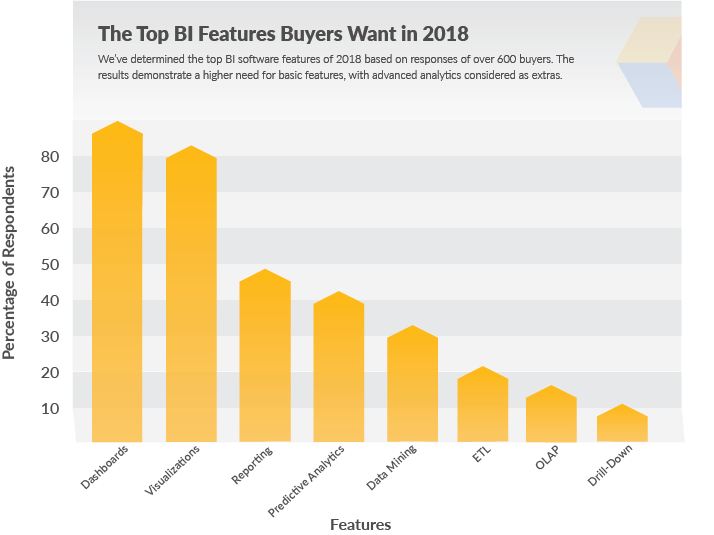 Types of Business Intelligence Tools & Systems | What's Hot in 2019? Data, data, data … that’s all we’re hearing about nowadays. Big Data, data mining, data scientists and the like appear at the top of Google searches and blog headlines more than ever before, and with good reason. The business leaders of today, in every industry, have discovered how to use their data to its fullest potential. So, what are business intelligence tools and what business intelligence systems are available now anyway? Understanding different types of business intelligence tools is now more attainable than ever. The proper utilization of data shouldn’t be, nor is it, exclusive to the top players. Business intelligence (BI) tools have given companies of all sizes access to powerful data analysis capabilities. Receiving insights and finding trends is essential for businesses to scale and adapt as the years go on, which is exactly what business intelligence software does. The best thing about these software solutions, however, is that their potential uses are practically unlimited. There are six million ways to BI… at least, that’s our (very) rough estimate. 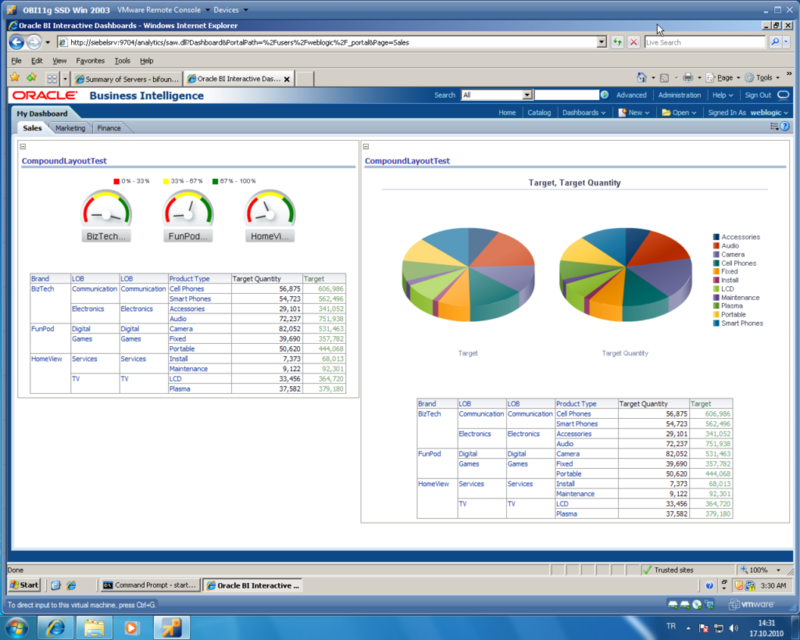 And the different types of BI reports are almost as numerous as the uses for BI. What you can do with your data and a good BI system is limited by one simple barrier: your creativity. You can aggregate user data to provide product recommendations, similar to Amazon. Or, you can identify your company’s peak revenue times. You can also find the ROI of your CRM. Or track employee retention. Point is: with various types of BI tools, you should never feel limited by what you can do. A successful business intelligence strategy begins even before implementation. It entails a good data governance policy. Data cleansing is essential before feeding it into your BI tool, because good data analytics is useless when performed on bad data. But a governance policy goes beyond mere data cleansing. It also involves securing the data. What levels of encryption do you use for data at rest? What are your access policies and procedures? What are the consequences for failing to adhere to policy? All of these things go into a solid data governance program, and upon that you can build a strong governance policy for your business intelligence systems. BI software buyers expect advanced analytics features from their BI tools. Of those surveyed, 42 percent requested predictive analytics, 32 percent wanted data mining and 20 percent expressed interest in extract, transform and load (ETL) capabilities. Of the respondents who didn’t specifically request the above features, a significant portion listed them as “nice to have in the future.” For instance, while 42 percent required predictive analytics, another 16 percent thought that feature would be useful to implement in the future. There was a similar trend with data mining (14 percent thought it would be something they’d be interested in) and ETL (6 percent). The comparatively low numbers of users who requested these features may have a root in lack of awareness and understanding of the benefits they can offer businesses. There could also be an element of overpacking BI with features: many of these functions — especially data mining and ETL — are more focused on Big Data and may not be useful to SMBs. Of our survey respondents, 90 percent said dashboarding was a BI key feature. Dashboards satisfy the need to process and organize data into an easily digestible format, so it’s easy to see why this is a requirement of an overwhelming majority of buyers. 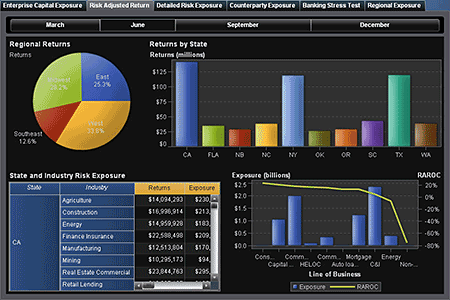 Visualizations stood out as another important feature for BI system buyers. 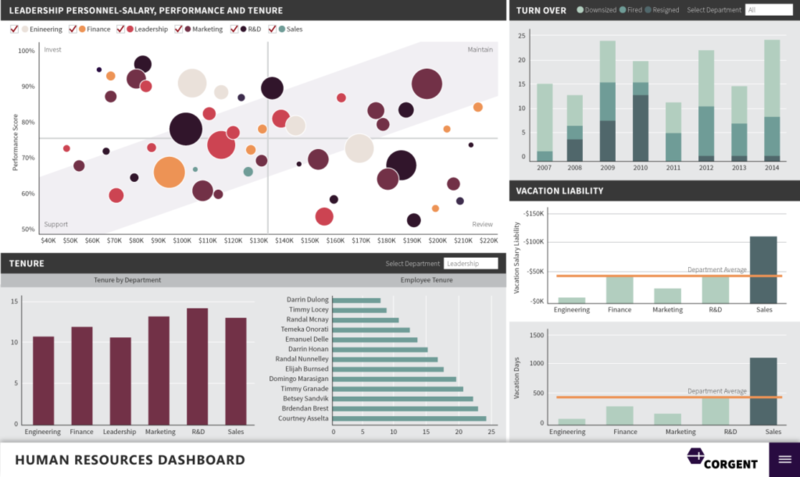 Visualizations organize and present data in a format that can be understood and utilized by people of all levels of BI skill sets. The feature was mentioned in 81 percent of responses. Users surveyed were consistently open to either cloud-based or on-premise forms of deployment — 69 percent said they didn’t have a preference. Of those who were set on a deployment method, 23 percent preferred cloud and eight preferred on-premise. Some other features requested by survey respondents include ease of use (28 percent), integration (23 percent), data warehousing (five percent) and mobile access (four percent). When it comes to business intelligence, it’s all about the features. Overall, a majority of respondents want basic functions (reporting, dashboards, etc.) from their business intelligence software. But many buyers also showed interest in more advanced analytics capabilities like predictive analysis, data mining, ETL, OLAP and drill-down functions. BI consumers seem to think their needs are generally basic, but there also seems to be a lack of awareness of more advanced features and the benefits they could offer them. This is apparent in the trend towards prioritizing familiarity. When choosing from the different types of business intelligence software, buyers tend to gravitate to features they know, hoping to streamline the decision-making process without adding too many layers of complexity. This signifies a need among buyers for more in-depth exploration of feature options. Find correlations between revenue and outside influencers such as weather, power outages, etc. 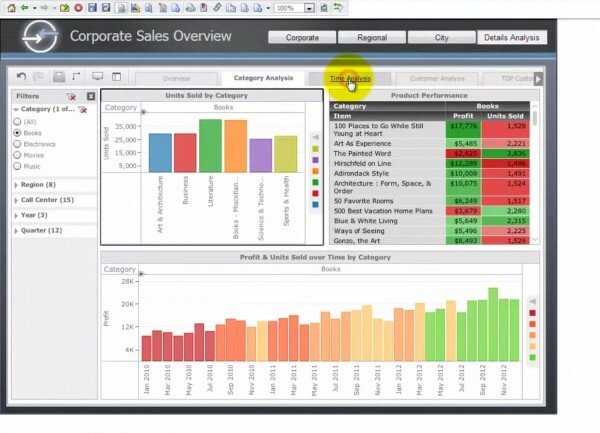 One of the most popular types of BI tools, Tableau is a commonly sought-after BI platform. It’s simple enough that non-technical users can easily create customized dashboards and other reports to find valuable insights. 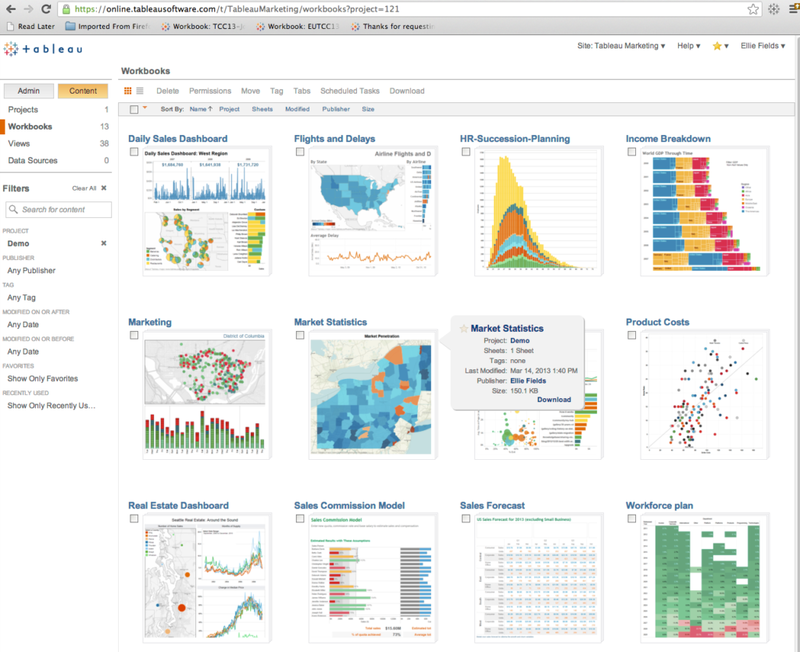 Tableau is so popular that many people consider it the de facto BI tool and search to understand the difference between Tableau and the competition. Among the best tools used in business intelligence is Qlik, with it’s guided tool, QlikView, and self-service business intelligence tool, Qlik Sense. This powerful program offers fully interactive data operation, which allows users to explore data at all times during input, processing and output. QlikView also offers a system memory function that displays every action that took place during analysis. QlikView is an extremely powerful BI tool with solid performance all around. It is available on mobile platforms, which provide the same interactive analytical tools, intuitive associative search and excellent visualization available to desktop users. 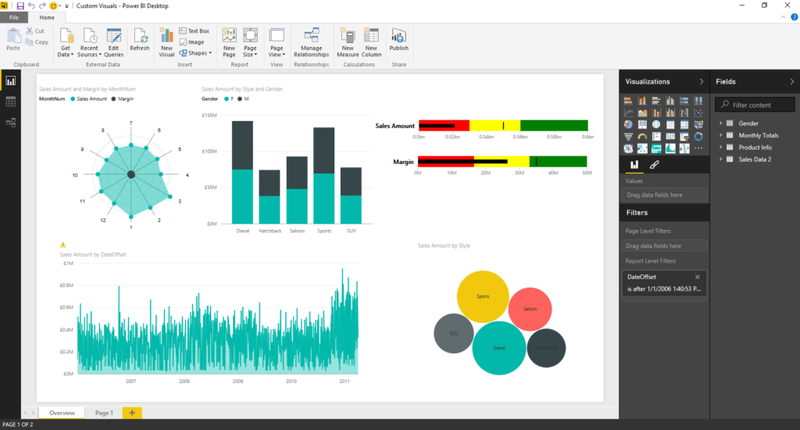 Microsoft Power BI earned a top score on our leaderboard in several areas, including interactive visualizations, predictive analytics, mobile access, export of analytics reports, big data integration and storyboarding, ensuring this solution is a powerful data visualizer. This solution offers one of the more affordable options, with a free (but limited) version in addition to their basic package. With the Dundas BI solution, users can get data ported to any device and connect relational database, web services, Excel and other formats. Features for new versions include data generators, new data transformation tools, scaling modes and quick filters. Dundas bills its product as offering fast, self-service BI and a choice of on-the-fly or single-click in-memory analysis, as well as a leading data visualization tool. Part of the appeal of this tool is its innovation in displaying aggregate data. The Sisense BI platform provides one of the most popular, and one of our top-rated, all-in-one BI solutions. This solution offers a user-friendly interface, powerful data visualization tools and interactive dashboards designed for quick and easy use. Sisense also includes in-memory database tools and SQL server integration, so that no matter where your data is, you can analyze it. Or rather, Sisense can analyze it. By fueling a proactive business culture, WebFOCUS BI from Information Builders allows you to consistently make smarter choices. This product is a unique and different BI because it allows not only your employees, but also your customers, access to its platform. Your customers can have access to easy-to-use apps for better organization and more informed business decisions. For added flexibility, this platform can be deployed both on-premise and on the cloud. Oracle BI is another top solution. While Oracle shares commonalities with QlikView, it also boasts especially strong geospatial visualization capabilities, including advanced mapping controls and fantastic dashboard integration. 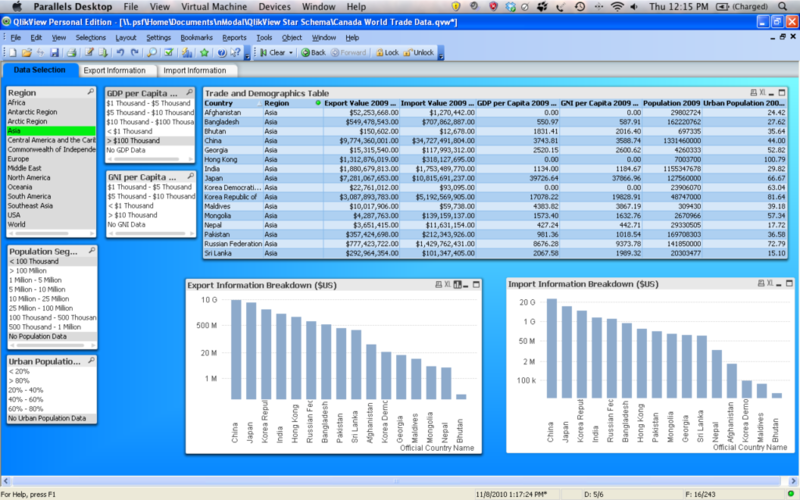 In addition, it performs exceptionally well when exporting analytics reports. 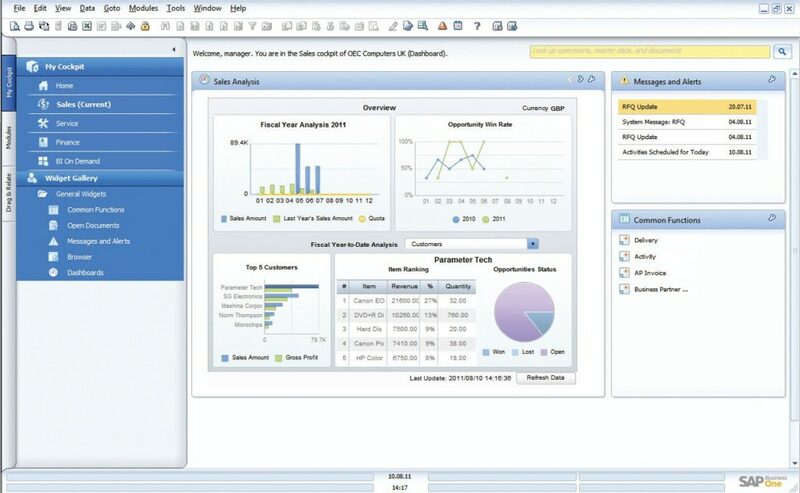 With Oracle BI, users can easily and intuitively interact with each other; view reports online; and publish, send and schedule reports to a variety of outputs such as SMS. While Oracle has limited benchmarking capability, its Scorecard and Strategy Management features allow users to establish goals and measure their success over a period of time, while also communicating progress and information to the entire organization. SAP BusinessObjects received a perfect score in Hadoop, exporting analytics reports, mobile access and storyboarding, with strong performance in visual querying, geospatial integration and interactive visualizations. However, its benchmarking capabilities are very limited, as is its ability to monitor regulatory compliance. That said, it’s still a powerful analytics tool for finding game-changing insights. For users who want a customized interface, the MicroStrategy Analytics platform may be the right choice. Since the company is known for its excellent personalized customer service, this is a good choice for companies and individuals new to BI software. The platform provides helpful insights through customized dashboards and powerful analytics tools. To get simple answers from complex data analysis, SAS Business Intelligence is a good platform choice. With fast processing and guided exploration, you can see a clear picture of the information you need instantly. Learn to build better models with a simple feature based on tested techniques, and put the models into service faster without any headaches. Business intelligence doesn’t have to be scary — there are a variety of resources to educate and empower buyers. There are plenty of types of different BI tools out there to explore and experiment with. The more educated the user base becomes, the more comprehensive and powerful the options will become. BI is a versatile and powerful resource, and can be useful to almost every industry. Do you feel like you have a better grasp on business intelligence tools examples? 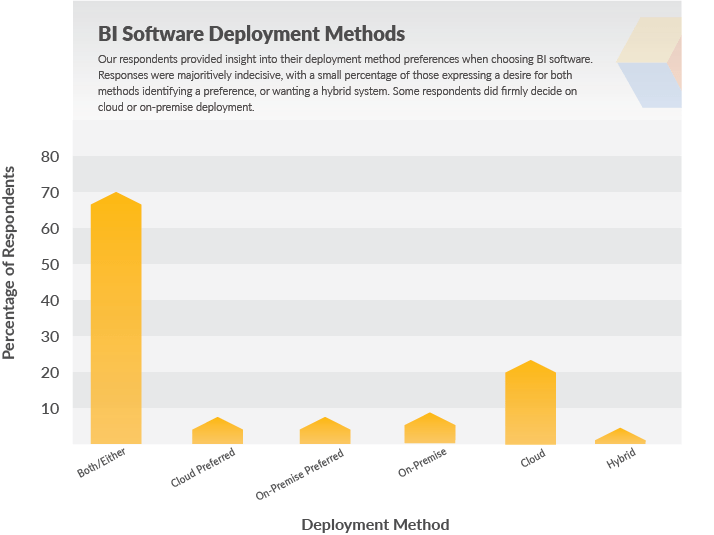 Are there different BI tools you’d have put on this best-of list? Did we leave anything important out? Let us know your thoughts in the comments! Great read, especially the examples of Business Intelligence Tools in Action. There is no better solution than BI, to obtain the most crucial data insights over time. Business Intelligence is a must-have asset now for organizations.